Though his first appearance wasn’t until 1929, Tintin’s origins as a character can actually be traced back to 1926, when Hergé created Tortor, a Belgian boy scout who, save for his uniform, is nearly identical in appearance to Tintin. Within a few years, Hergé had repurposed the design for his beloved young explorer (or, at the time, young reporter). Tintin’s first adventure, which would be collected into book form in 1930, was Tintin, Reporter, in the Land of The Soviets. Hergé had originally intended to set the stories in the United States, but the editor of Le Vingtième Siècle (a far-right, Catholic Belgian publication and the parent-paper to the child-oriented Le Petit Vingtième) insisted that they be set in the Soviet Union in order to take pot shots at communism. The early installments are not generally considered to be among Hergé’s best (he would prevent the reprinting of In the Land of The Soviets until 1973, and it would not be printed in color until 2017) and if they seem to be mired in slightly uncomfortable political circumstances, those circumstances get worse before they get better. 1931 would see the publication in book form of Tintin in the Congo, which many would later call out for the obvious racism and paternalism with which its African characters were portrayed. Nine years and five volumes later, the Nazi occupation of Belgium during World War II would lead to the shuttering of Le Vingtième Siècle, whereupon Hergé would instead begin publishing his comics in Le Soir, one of the few newspapers sanctioned by the German regime. In spite of the geopolitical upheavals and questionable race politics that surrounded (and sometimes infiltrated) Hergé’s work during these periods, the 1930s and 1940s saw the emergence of some classic examples of what makes Tintin so beloved to this day. The Blue Lotus (1936), which was set amid the Sino-Japanese War, represents an early high point in terms of humor, intrigue, and political relevance, and sees the title character (in a seeming reversal of early Tintin themes) giving an impassioned speech against racism. The high-flying escapades also feature the addition of fan favorite Chang Chong-Chen to the Tintin universe. 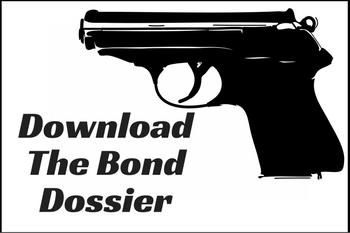 During the German occupation, meanwhile, Hergé was forced to lay off most overtly political topics, which may have been a blessing in disguise insofar as it enabled him to focus more singularly on the adventure and mystery for which the series would become known. To wit, The Secret Of The Unicorn (1943) and Red Rackham’s Treasure (1944) comprise an adrenaline-laced mix of swashbuckling pirates and dense jungles and are easily some of the best entries in the series. Following the end of the Second World War and the end of Belgium’s occupation, the Tintin business began to heat up dramatically. 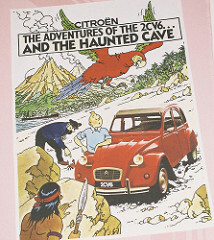 Instead of publishing in other people’s periodicals, in 1946 Hergé began publishing in Tintin Magazine, a weekly publication devoted to his popular creation. In 1950, beginning with Explorers on the Moon (1953), Hergé would launch Studios Hergé, a group of collaborators who would help to usher in the final period of productivity in Hergé’s life, which included the 1960 publication of Tintin in Tibet, another of the series’ classic works. All told, Hergé (and his collaborators) would publish 24 books (including one posthumous collection completed by said collaborators) of Tintin material. 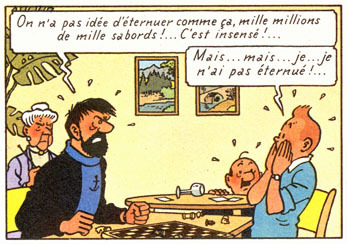 Not that Tintin was limited to comics as a form. The series was also the subject of numerous film and television adaptations, most recently the 2011 film by Steven Spielberg (who called Hergé his “soul mate”), The Adventures of Tintin: The Secret of the Unicorn.